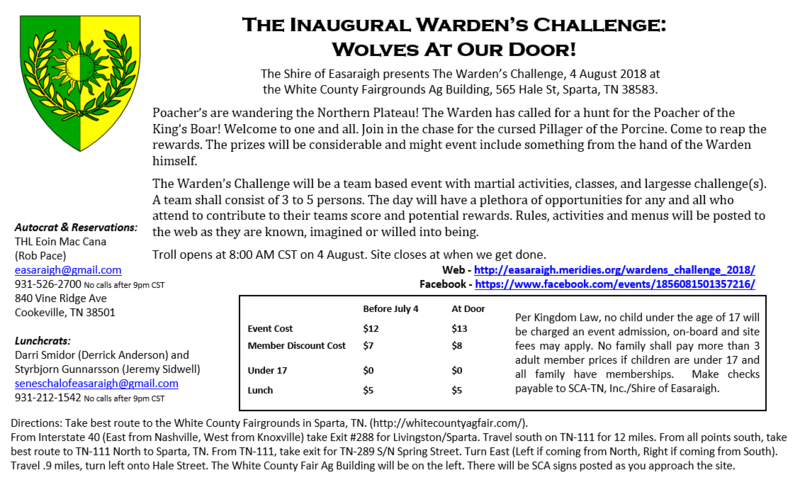 The Shire of Easaraigh is please to announce our 2018 event ‘The Warden’s Challenge: Wolves at our Door‘! Autumn has passed and Father Winter has settled in for his cold slumber. 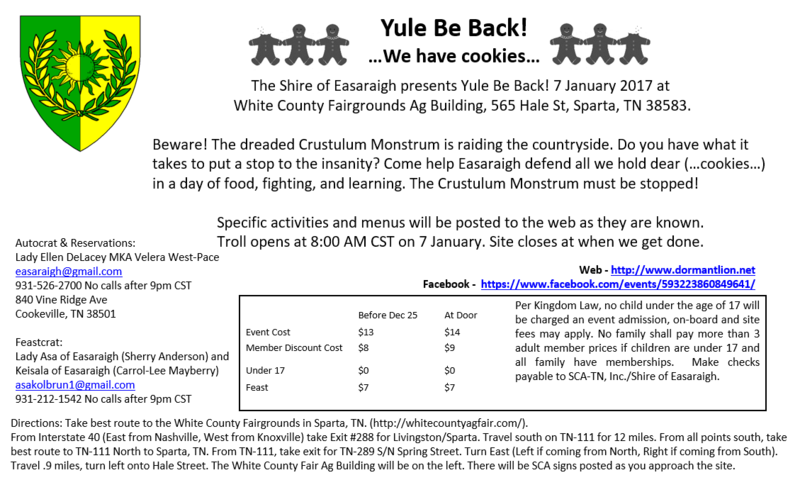 It has been an eventful year for the Easaraigh faithful. We have traveled far and wide. We have shared good company at home. We have been humbled by the presence of majesty and rejoiced in the bounty of our hobby. To everyone, we hope you find a spiced hot beverage (of your choosing), a warm hearth, and cherished friends and family to share them with. 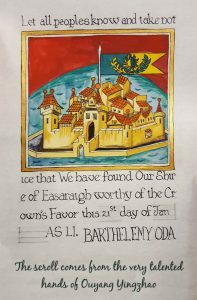 Border Raids 2017 preparations are underway with the Barony of Glaedenfeld. 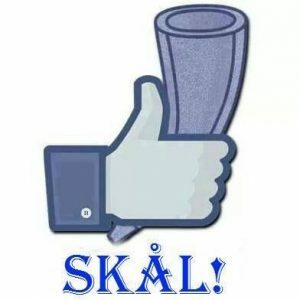 Information on the event can be found on Facebook and this page. 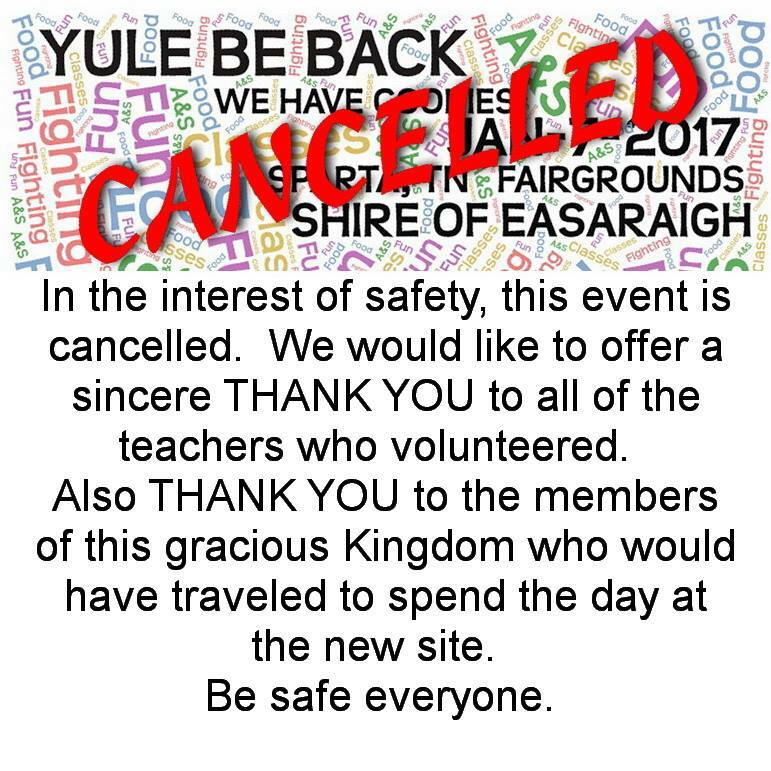 The Shire of Easariagh, in partnership with The Barony of Glaedenfeld, will be hosting Border Raids 2017 right here in our own back yard!